Formerly the principal of AC Hickox Lighting Design, AC has over 25 years’ experience in lighting design and production management encompassing Off-Broadway and regional theatre, dance and opera, as well as extensive tours worldwide. 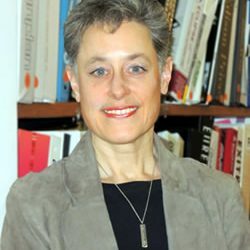 For fifteen years she was on the faculty of Teachers College-Columbia University, lectured at CCNY, and has served as visiting professor of lighting at the University of Illinois-Urbana. In 1999 AC joined Domingo Gonzalez Associates as Senior Associate / Project Manager, trading theatre for a concentration in transportation. Notable projects involving many calculations studies (all with AGi32) include the Second Avenue Subway, East Side Access, the new Tappan Zee Bridge, and, interestingly, several psychiatric facilities. AC is a member of the IESNA, Lighting Certified, and LEED AP BD+C. Now a principal at DGA, any spare time is spent beta-testing new versions of AGi32 and, rarely, travel to exotic locales in Pennsylvania and Ontario.